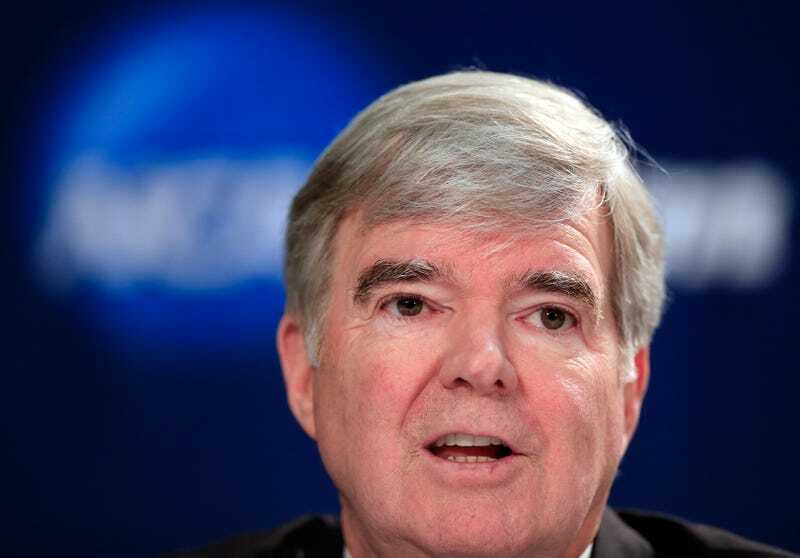 The email recounts that on July 17, 2012 — less than a week before the Penn State sanctions were announced — a majority on the NCAA executive committee favored the "death penalty" that would shut down the football program for several years. In the September 2012 email, Remy reiterated that he had previously told Marsh that the death penalty was not reserved for repeat offenders and that a traditional enforcement process would likely result in its imposition. "In a subsequent call we informed you that it was Penn State's cooperation and transparency that encouraged members of the executive committee to forgo the pursuit of a stop in play," Remy wrote. While Penn State wasn't given the death penalty, they were handed a hefty set of penalties over their cover-up of longtime defensive coordinator Jerry Sandusky's serial child molestation: they were fined $60 million, had all wins from 1998 to 2011 vacated, were banned from postseason play through 2016, and had the amount of football scholarships they could give reduced—though some of those were eventually restored. The notion that the NCAA was prepared to impose the death penalty on Penn State is especially surprising given that previous e-mails revealed during the case paint the picture of an NCAA uncertain whether it even had the jurisdiction to punish Penn State in the first place, let alone inflict the harshest punishment possible.